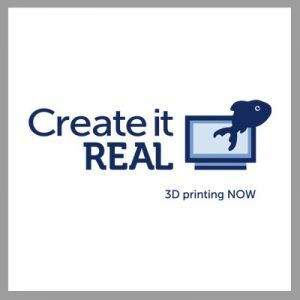 Create it REAL, is a SME based in Aalborg, Denmark founded in 2009. It is a R&D center made of international experts, specialised in 3D printing technologies and has developed an electronic and software platform for 3D printer manufacturers. Creat it REAL engineering team has gained important knowledge in microchip, PCB design, 3D software, 3D printing, electronics, robotics, precision mechanics, polymer extrusion, software development and computer graphics. Over the past ten years, the Internet has revolutionised and democratised communications. These powerful tools provided by ICT software and hardware are completely changing the way we make tangible and intangible goods. Nowadays, virtually everybody with Internet access can create digital content composed of virtual bits and make it available to everyone else instantly, no matter who they are or where they live. Now, the same thing is happening to manufacturing as the access to tools like 3D printers and laser cutters is increasing. As a result, these intangible goods or virtual bits which can be shared globally, can be turned to physical objects or atoms which manifest themselves locally. This is making the interface between the virtual world and the physical world blur if not disappear. As a shorthand term, this transformation from bits to atoms is being called the Maker movement. Create it REAL is located at the mainstream of this process. It worked on several EU funded projects like Nanomaster (FP7) http://www.nanomasterproject.eu/ studying graphene-reinforced filament for 3D printing. https://youtu.be/2OMDT56CVXU and is also members of H2020 project called Made for http://make-it.io/ to develop Fab lab and maker’s movement understanding.